On 1st December 2016, ShoutMeLoud will turn 8 years old. Yeah! That’s eight years of blogging & continuously engaging with like-minded people who also love blogging. I never imagined myself being a blogger for so long. Who would have thought of that? Huh! I guess with the way that ShoutMeLoud has evolved over the past eight years, it would be wrong to call it “just a blog” (and myself “just a blogger”). Exclusive WordPress discount and deals. While things have been steadily moving ahead, one of the big challenges we were facing was the impacted user experience. With so many articles on various topics & with so many different sections, it was getting tough to get user eyeballs on all of these places at once. Well, this is why we have revamped the ShoutMeLoud homepage. There is never a perfect theme. Based on my observations, more changes will be done over time. Along with the homepage, we are working on optimizing all of the sections. Our goal is to treat every section as a mini-site & optimize each of them accordingly. Of course, this will be another work in progress, but for now, we know which direction we have to go. How can you help to make ShoutMeLoud Better? For the last two months, we have been focusing a lot on email marketing. That includes getting users on board & helping them learn the important things related to blogging & making money online. 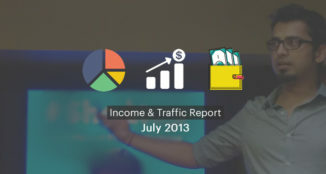 Last month, we did a “Mini affiliate marketing” course. This month, we are doing a “Start a blog from scratch” course. 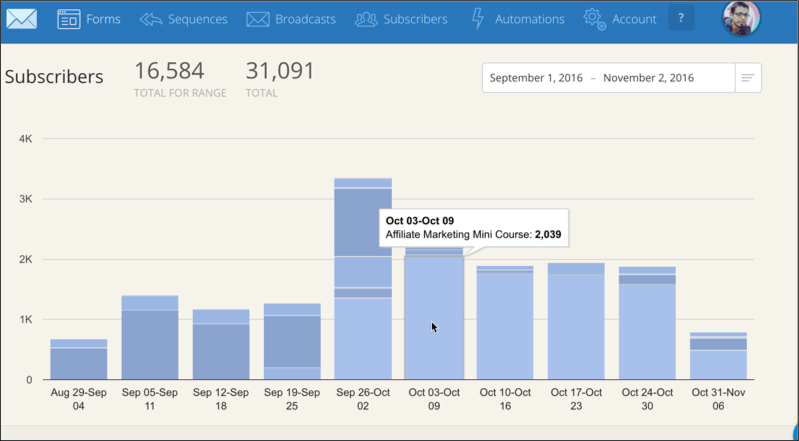 Do you want to see how these mini-course campaigns increased the number of email signups? You can clearly notice those big jumps are because of mini courses signup forms. We are using OptinMonster WordPress plugin to add those forms all over our blog with exclusion rules. The idea behind these mini-courses is to help newbies understand the various mechanics of making money from a blog, while also helping them launch & grow their blog. Right now ShoutMeLoud featured email signup box is offering our “WordPress eBook” for free as an incentive to sign up. If you also want to add similar signup box, you can watch this video to learn the process. Soon, we will test the “Featured email box section” with options to subscribe to different mini-courses. This will be an interesting feature & an A/B test will give us a lot of interesting data. In short: Get ready for data-rich case studies in the coming days! The work is still in progress & things will unfold as we move ahead. 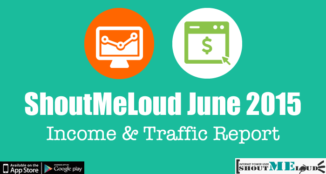 We are still a few weeks away from celebrating the 8th anniversary of ShoutMeLoud. In celebration, I will be preparing a few giveaways to ensure you get some useful blogging tools for free. You can do a lof things to help ShoutMeloud get better. For now, what matters most is feedback & suggestions. You can suggest changes or new ideas that could improve navigation. Suggest changes to improve the user experience. Don’t like any particular color or area of the homepage? Feel free to share that info, too. Whatever you want to share with us, we will be happy to receive. We love feedback! Share your views, feedback, & ideas of ShoutMeLoud 3.0 in the comments section below! If you are or know of, a web-designer who understands conversion optimized website design, you may be the perfect addition to the ShoutMeLoud team. This person will get to work with some of the brightest minds & thriving members of ShoutMeLoud. We are a bunch of creative professionals working together to make money! Doesn’t that sound fun?? So if you are this person or know someone who is, please send an email to [email protected] with the subject: I’m the one! Get ready for a lot of new and interesting stuff in the coming days. More than that, get ready for the upcoming series of guides that will help you to grow your online business as a blogger and/or an entrepreneur. Eight years later, and things are still exciting!! Share this post and spread the love! See you tomorrow with monthly income report post. Thank you for the feedback. Will look into it. I like the SML new design which is awesome, but loading speed is slow. I always try to read Shoutmeloud’s latest post. Great work.